Ampersand Ice Cream selection. Photo courtesy of Ampersand Ice Cream. National Ice Cream Day was June 17th this year, but that doesn't mean the celebrations need to end! There are plenty of local spots that work with a passion for creating the perfect scoop of ice cream. We've compiled a list of ice creameries that are sure to entice, as well as a few flavor recommendations from the owners. Bon appetit! 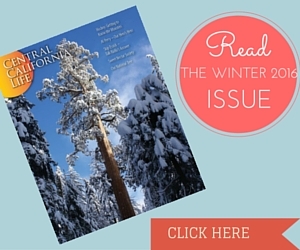 About: "Where Great Ice Cream & Community Meet." 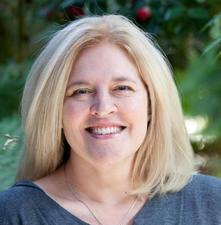 Ampersand was created by husband and wife team Jeff and Amelia Bennett. Like every future Ice Cream Parlour owners, they love Ice Cream, as well as some Fresno. They are a state-certified dairy plant and pasteurize all of their own bases. This allows them to build all of their flavors from the ground up using the best local products available. Ampersand uses Top O' The Morn Farm for all of their dairy products, and either make in house or source all of their mix-ins locally. Most Popular Flavors: Our most popular flavors is Whiskey Caramel Swirl & Honeycomb! As far as unique flavors, those are typically specials that come and go. Right now we have a Honey Roasted Blueberry, Black Pepper Plum and our Grizzly Jack, a play on cracker jacks in support of our local triple A baseball team the Fresno Grizzlies. Grizzly Jack is butter popcorn ice cream with a molasses caramel swirl and pralined almonds. For more information about Ampersand, you can visit their website. About: CREAM provides freshly baked cookies and super-premium ice cream in Fresno, CA. CREAM believes this is no greater childhood memory exists than delicious cold ice cream and out-of-the-oven cookies. So why change that as an adult? One taste of our cookies matched with the cool bite of ice cream will make you swoon. And when you see the myriad of custom combinations available you’re sure to ask, “Are other desserts even trying? Founded in Berkeley, California CREAM was recently named one of "27 Ice Cream Shops You Need To Visit Before You Die," by Buzzfeed. For more information about CREAM, visit their website here. About: According to Celestine V. on Yelp, "Every day, I wake up and convince myself that today's the day I'll start that diet. 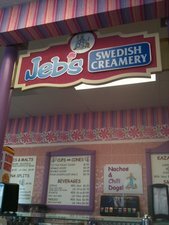 However, Jeb's Swedish Creamery put that dream to rest this afternoon as I walked in and was bombarded by pink decor, a friendly manager, and that cold, unmistakable smell of an ice-cream shop. The first step to a five-star review? The manager gladly let me taste every single flavor. I'm not sure if this made it easier or harder to decide, but it did lead me to get a cup with a scoop of strawberry and a scoop of olallieberry." If you're looking for a little bit of a savory option after your treat, Jeb's also serves classic American dishes such as burgers, hot dogs, and pizza. For more information about Jeb's, you can visit their Yelp page here. About: Scoops, Soups & More has one of the largest selection of flavors of ice cream (over 35). Most of these flavors are Fresno State Ice Cream. 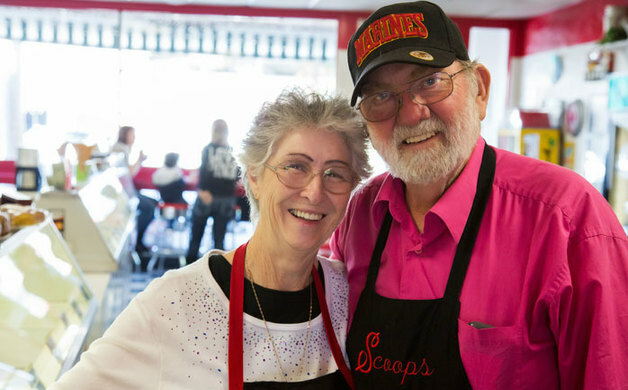 Scoops, Soups & More is just “the place to be” if you are strolling the sidewalks of Old Town Clovis during a farmers market or Big Hat Days, or if you’re just looking for that perfect taste of something sweet! For more information about Scoops, you can visit their website. Superior Dairy. Photo courtesy of the Superior Dairy Facebook page. About: Parlor serving hearty scoops of homemade ice cream, banana splits, sundaes & sandwiches since 1929. 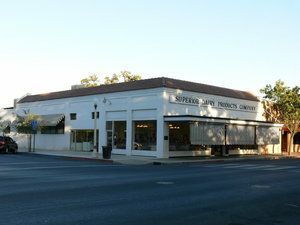 For a vintage feel and large portions, you'll want to take the journey and try out Superior Dairy. Most Popular Flavors: For a variety of recommendations, visit their Yelp page to see what flavors over 303 people are talking about. What's your favorite Ice Cream shop? Let us know by contacting us!